Time is running out for buyers to seize the chance to set up home in a much sought-after location on the Wirral peninsula. Situated among attractive woodland with a golf course right on the doorstep, Carlett Glade by Bovis Homes has proved a popular development since it opened its doors last year. And now the last phase of this lovely Eastham location has been released, with a handful of fantastic family homes becoming available. 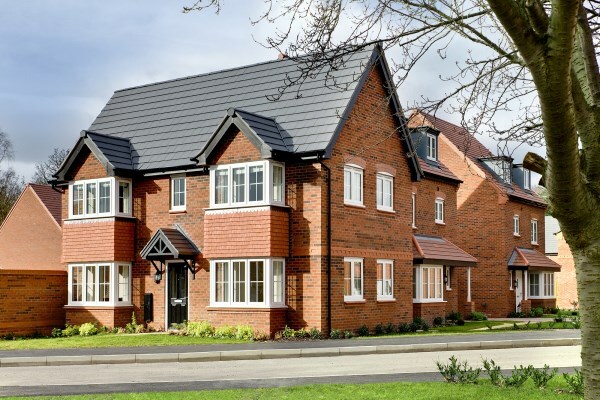 "Carlett Glade will soon be complete and we're expecting a race to buy our last remaining homes there," said Bovis Homes Northern Marketing Manager Carina Wilde. "It's a lovely spot with some stunning views and somewhere we have been proud to build our new homes. "The five-bed show home is a prime example of the quality you get with a Bovis Home, where features like a fully integrated kitchen with appliances, built-in wardrobes and en suites come as standard - not extras. "And even though the builders may be moving out soon, we will remain on hand for our customers with our after-care service supporting our two-year warranty. This backs up the 10-year Buildmark guarantee that the homes have with the NHBC." Prices currently start at £211,995 for a three-bed home to £384,995 for a five-bed. For the latest availability and prices got to www.bovishomes.co.uk or phone 01512 031952.